Bailey-Matthews National Shell Museum - Located at 3075 Sanibel-Captiva Road, the Bailey-Matthews National Shell Museum is a must-do for shell enthusiasts. The museum is truly unique, as it is home to thousands of local and fossilized shells from all over the world! Admission is $15 for adults (18+), $9 for youth (12-17 years), and $7 for children (5-11 years). Active military and children under 4 years are free. Big Arts (Barrier Island Group for the Arts) - Located at 900 Dunlop Road, Big Arts has been promoting the arts on Sanibel and Captiva Islands since 1979 and continues to foster interest in art, dance, music, theater, and literature. The center has art galleries, a 414-seat performing arts theater, sculpture garden, and studios for art, music, dance, and education. In addition to this, Big Arts also offers over 150 workshops and 25 concerts a year. Chapel by the Sea - This historic chapel, originally built in 1901 as a schoolhouse that was also used as a church on Sundays, is now used for meditation and is an interdenominational church. It is a popular wedding location and is located at 11580 Chapin Lane on Captiva Island. C.R.O.W. 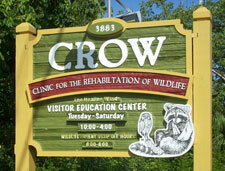 (Clinic for the Rehabilitation of Wildlife) - This wildlife rehabilitation hospital treats over 3,400 native animals, including 160 different wildlife species. 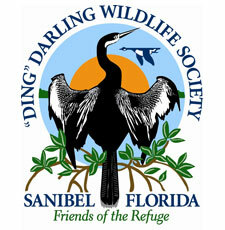 Its mission is not only to care for sick and injured wildlife, but also to educate the public on the necessity of the preservation of wildlife and living in peace with the animals of Sanibel and Captiva. The center offers an educational presentation Monday-Friday year round at 11:00am and Sundays at 1:00pm from Thanksgiving-Easter. The center requests a $5 donation from visitors 13 and older. C.R.O.W. is located at 3883 Sanibel-Captiva Road. J. N. "Ding" Darling National Wildlife Refuge - A must-see for nature lovers, the "Ding" Darling National Wildlife Refuge is home to 238 species of birds, over 50 different types of reptiles, and 32 different kinds of mammals. There are a variety of different ways you can enjoy the 6,300-acre wildlife refuge. There are walking and biking paths you can journey for just $1, or if you want to take it easy you can drive your car on the four mile scenic "wildlife drive". Or, if you feel like getting on the water, you can float through the refuge in a kayak or canoe. Guided tram tours are available from Tarpon Bay Explorers, if you would like an expert's view of the refuge and learn about the natural beauty of the refuge as you enjoy it! There are numerous bird-watching spots, including an observation tower, so bring your binoculars and camera! The best time to spot wildlife is in the morning or evening. The Ding Darling National Wildlife Refuge drive is open Saturday-Thursday from 7:30am to half an hour before the sun sets, and it is closed on Friday. There is an education center that is open daily from 9:00am to 5:00pm (November-April) and 9:00am to 4:00pm (May-October). 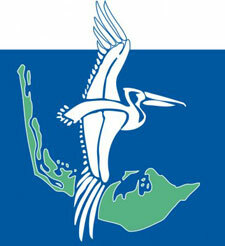 The refuge is located at One Wildlife Drive, off of Sanibel-Captiva Road. Sanibel-Captiva Conservation Center - There's a reason why people keep streaming to Sanibel and Captiva Islands! The islands' beautiful, unspoiled landscape truly makes people feel as though they're in paradise. Yet another organization dedicated to the preservation of Sanibel and Captiva Islands, the Conservation Foundation's Nature Center (non-profit) educates the public regarding the islands' ecosystems. Visitors can experience 4 ½ miles of trails, (can also be experienced with the help of a guide) check out a butterfly exhibit, and even climb high and scope everything out on an observation tower. Be sure to check out the nature shop and bookstore for some memorable souvenirs. The hours of operation change with the season. The center is open weekdays from 8:30am-4:00pm during October-May, weekdays from 8:30am-3:00pm during June-September, and during December-April the center is open on Saturdays as well 10:00am-3:00pm. The center only charges a nominal $3.00 for adults with members and children 17 and under admitted free. The Sanibel-Captiva Conservation Center is located at 3333 Sanibel-Captiva Road. 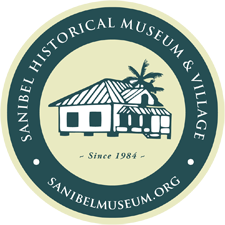 Sanibel Historical Village & Museum - Step back into the early 1900s and experience a simpler, un-hurried pace of life at the Sanibel Historical Village and Museum. You’ll find an amazing look at life in Sanibel back in the late 19th and early 20th century. Some of the history of Sanibel you’ll find here includes "Uncle” Clarence Rutland’s home, one of the famous historic Sanibel Lighthouse keepers, a 1926 tea room, a 1913 house, the 1926 Post Office, and even Sanibel Island’s first schoolhouse. All of the buildings have genuine early 1900s items inside, further adding to the feeling that you have "stepped back in time”. It is recommended that adults contribute a $5 voluntary donation and children are free. Hours: November-mid-August, Wednesday-Saturday 10:00am-4:00pm. Closed mid-August-October. The museum is located at 950 Dunlop Road. Sanibel Lighthouse - Probably the most popular spot to take a picture, the famous 1800s Sanibel Lighthouse continues to draw visitors to its light. 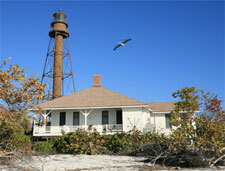 It was originally lit in 1884 and it continues to operate today, being maintained by the Florida Coast Guard. You won’t want to miss this hallmark of Sanibel Island! Old Town Sanibel - The Sanibel Historical Society has created a walking or biking tour, on the east end of Sanibel Island, to give visitors an idea of Sanibel's history. There are many shops, inns, and restaurants along the 2-½ mile long tour.